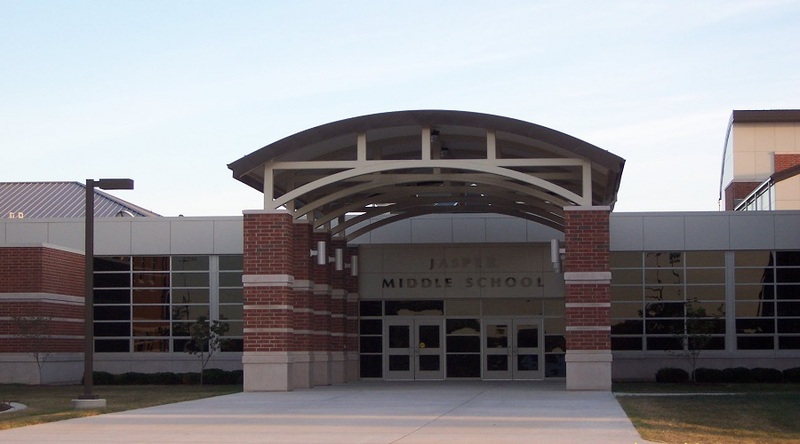 Jasper Middle School - Krempp Construction, Inc. Krempp Construction, Inc. 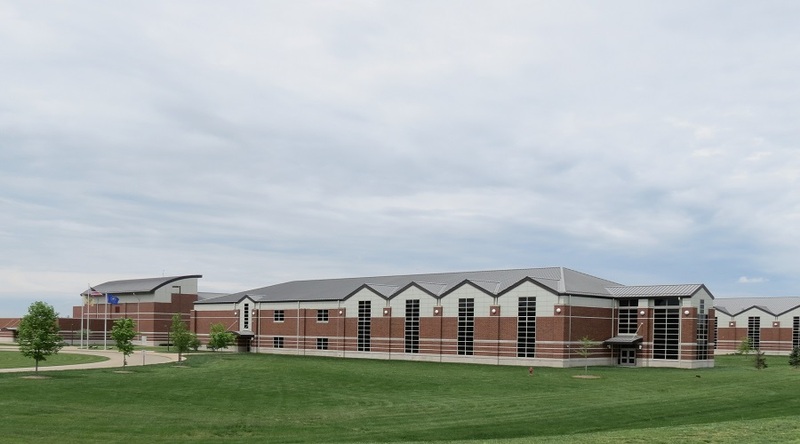 Owner: Greater Jasper Consolidated School Corp.
Prime Architect: Odle, McGuire and Shook Corp.
Jasper Middle School, constructed in 2004, was roughly $21 Million new construction project located in Jasper, Indiana. 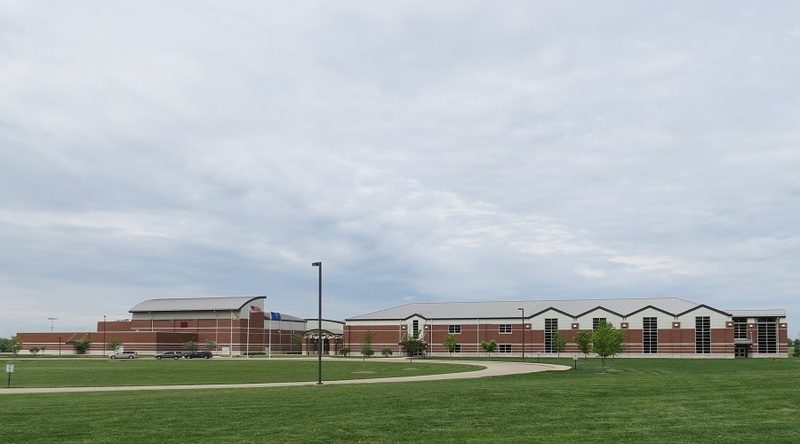 The project consisted steel superstructure with masonry shell, two gymnasiums, cafeteria, main entrance lobby, two academic wings, wrestling room, weight room, library, auditorium, band facility, eight tennis courts, football stadium, soccer fields, and concrete parking lot and drives.